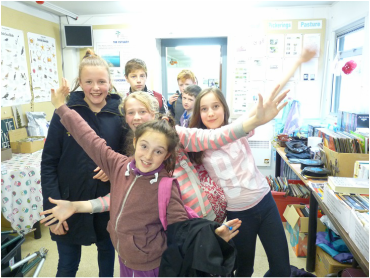 In 2015 OCA Yr 9 pupils returned to Pickerings Pasture, for an other day of volunteer work. They worked hard, did very helpful jobs and were very enthusiastic, in cool and windy weather. Yr 8 Pupils, from Ormiston Chadwick Academy, spent a day at Pickerings Pasture, helping the Friends of Pickerings Pasture and Hale Duck Decoy. They put in a full day, from just after 9am till almost 4pm, on Thursday 23rd October 2014. They were a credit to their school and a big help on site, planting, clearing and litter picking. Everyone was enthusiastic and well behaved, with lots of questions asked and answered. Around 1,500 bulbs were planted in the centre of the car park and in the spring meadow to the front of the car park. They included crocus, snow drops and snakeshead fritilary. 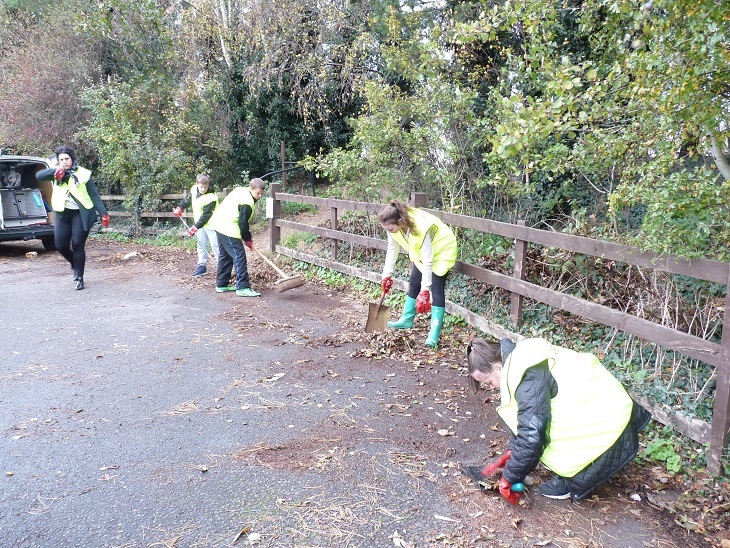 The students cleared leaves too, wearing FoPP waist coats, to make car drivers aware of them. Lots of litter was cleared from around the site and pupils took photographs, as they walked round, for a future photographic competition. 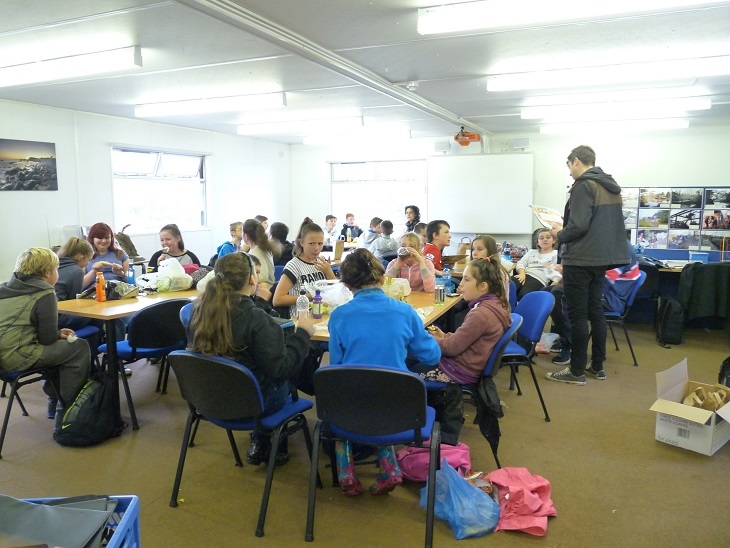 Lunch was enjoyed in the conference room at the centre, which was left clean and tidy. The tuck shop was especially enjoyed by pupils.